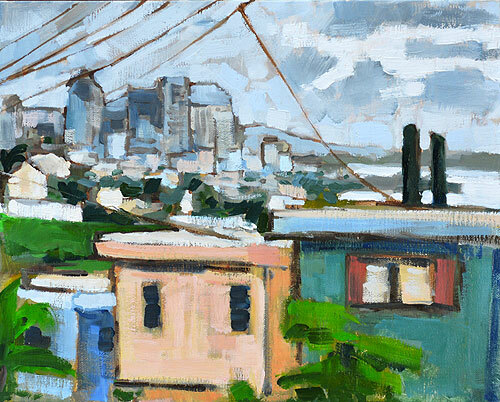 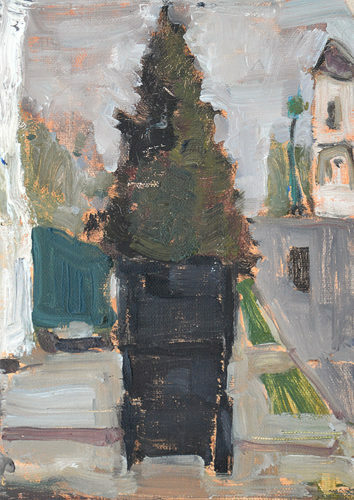 This entry was posted in Landscape Paintings, San Diego Paintings, Urban Landscapes and tagged 8 x 10 inches, california landscape painting, city cityscape, clouds, downtown, gray, grey, high rise, mission hills, oil on linen on panel, san diego, skyline, urban, weather, winter on February 8, 2014 by Kevin. 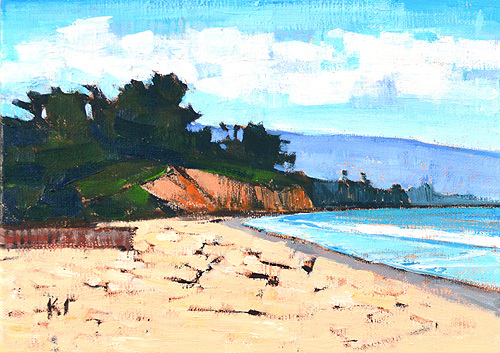 This entry was posted in Landscape Paintings, Seascape Paintings and tagged 5 x 7 inches, beach painting, california landscape painting, east beach, montecito, oil on linen on panel, santa barbara on November 26, 2013 by Kevin. 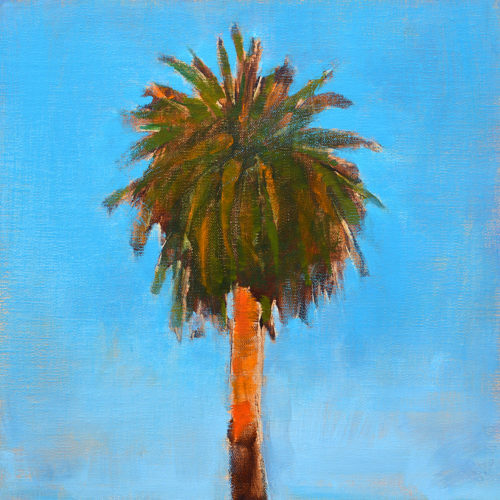 In the mountains above Santa Barbara. 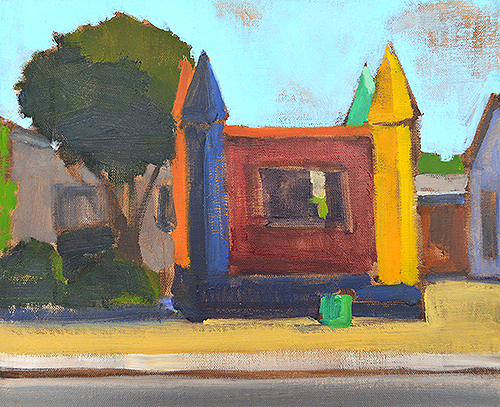 This entry was posted in Landscape Paintings and tagged 5 x 7 inches, california landscape painting, oil on linen on panel, santa barbara, santa rita hills, santa ynez valley, wine country on September 10, 2013 by Kevin. 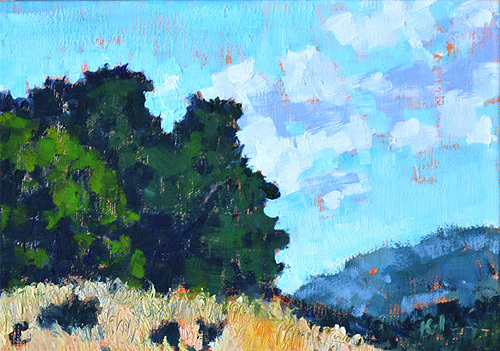 A hot summer morning in the mountains near Escondido. 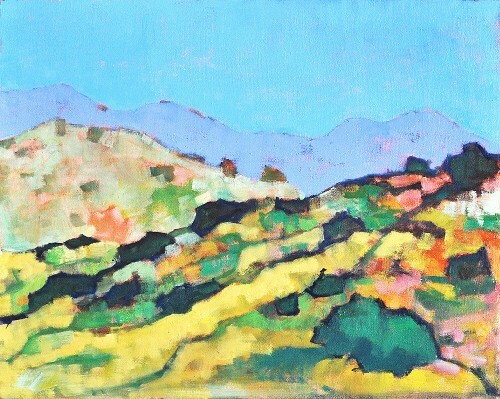 This entry was posted in San Diego Paintings and tagged 16x20 inches, burnt mountain, california, california landscape painting, escondido, landscape, mountains, oil on canvas board, san diego on October 29, 2012 by Kevin.